We are a boutique law firm specializing in Family, traffic and Criminal Law. We are strategically located directly opposite the Downing Centre Criminal Courts in Liverpool Street and the Family Law Courts in Goulburn Street in the Sydney CBD and Castlereigh Street Penrith. We have extensive knowledge, skill and experience as legal advocates appearing in contested hearings, trials and sentencing proceedings with a superior record of results. All suburban Sydney Courts including Burwood Local Court, Newtown Local Court, Penrith Local and District Courts; Parramatta Local and District Courts and Blacktown Local Court. Being embroiled in a legal battle may have serious long term consequences. We understand that this is an upsetting and stressful time for everyone. We leave no stone unturned to achieve the best possible outcome in the circumstances of your case. 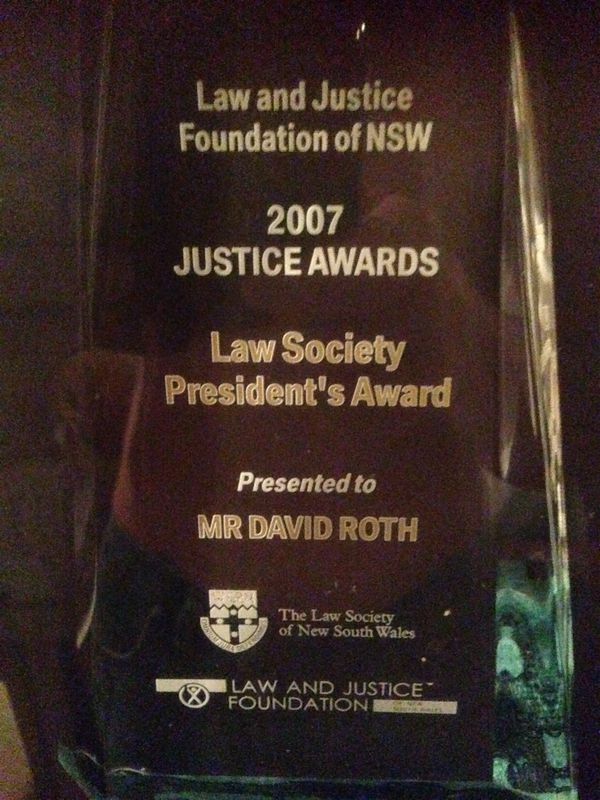 In 2007 the senior Solicitor with Sydney Criminal and Family Lawyers, David Roth received the Law Society of NSW President's Award for his extensive pro bono assistance to socially, financially and intellectually disadvantaged people in the community. David is featured in the 2008 Law Society Journal David Roth Solicitor1.pdf in relation to his receipt of the Law Society President's Award in 2007. The website package contains information, data, documents, pages prepared by Sydney Criminal and Family Lawyers While the data contained in this website has been formulated with all due care, the we do not warrant or represent that the data is free from errors or omission, or that it is exhaustive. Sydney Criminal and Family Lawyers disclaims, to the extent permitted by law, all warranties, representations or endorsements, express or implied, with regard to the data including, but not limited to, all implied warranties of merchantability, fitness for a particular purpose, or non-infringement. Sydney Criminal and Family Lawyers further does not warrant or accept any liability in relation to the quality or accuracy of the data. The data is made available on the understanding that Sydney Criminal and Family Lawyers shall have no liability (including but not limited to liability by reason of negligence) to the users of the website for any loss, damage, cost or expense, whether direct, indirect consequential or special, incurred by or arising by reason of any person using or relying on the data, and whether caused by reason of any error, omission or misrepresentation in the data or otherwise. Users of the website will be responsible for making their own assessment of the data and should verify all relevant representations, statements and information with their own professional legal advisers. Furthermore, whilst the data is considered to be true and correct at the date of publication, changes in circumstances after the time of publication may impact upon the accuracy of the data. The data may change without notice and Sydney Criminal and Family Lawyers is not in any way liable for the accuracy of any information printed and stored by a user. Changes are periodically added to the data and the Commission may make improvements and/or changes in the data and/or website at anytime. 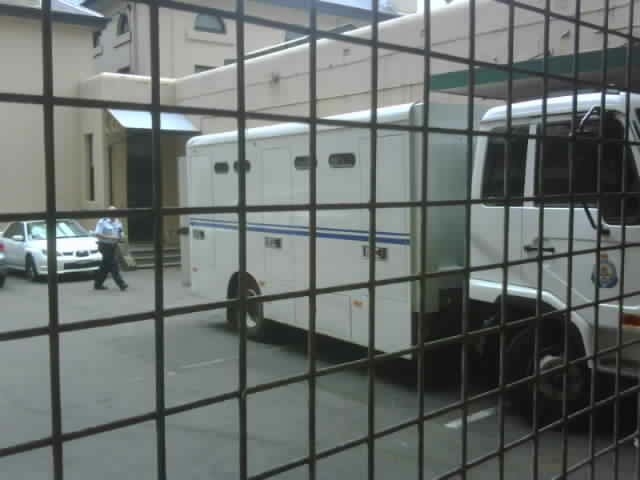 Sydney Criminal and Family Lawyers takes no responsibility for the accuracy, currency, reliability or correctness of any information included in the data provided by third parties nor for the accuracy, currency, reliability or correctness of links or references to information sources (including Internet sites). These external information sources are outside the control of the Sydney Criminal and Family Lawyers and it is therefore the responsibility of the Internet users to make their own decisions about the accuracy, currency, reliability or correctness of information found on those external Internet links. In addition to the data, the website provides links to other Internet sites. These external information sources are outside the control of Sydney Criminal and Family Lawyers and it is therefore the responsibility of the Internet users to make their own decisions about the accuracy, currency, reliability and correctness of information found on those external Internet links.